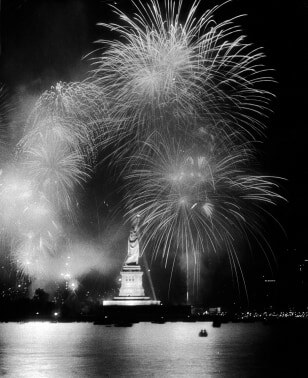 When the colonies declared independence from Great Britain in 1776, scientists in the Americas, with a few notable exceptions, were largely dependent on Europeans — shipping botanical specimens, for example, across the Atlantic for study and classification, according to Marc Rothenberg, the agency historian with the National Science Foundation. But in the 19th century, the infrastructure was put in place for homegrown American science and engineering. "In the 20th century we really become an international leader," Rothenberg said. Follow along as msnbc.com takes a look back at some of the achievements and discoveries that gave the U.S. a leadership role in the sciences. Benjamin Franklin, one of the Founding Fathers, was a man of many trades — author, printer, statesman and scientist, among others — but he’s best-known today for two images: His mug on the $100 bill, and textbook depictions of him holding a kite in a lightning storm. 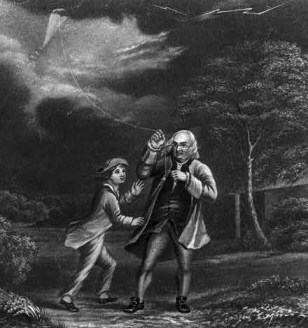 Some accounts claim that Franklin actually went out with a kite and a key in the early 1750s to verify that lighting was electrical in nature. Others say that part of the story is apocryphal. In any case, Franklin’s research led to the invention of the lightning rod, helped pave the way to batteries — and, according to Rothenberg, represented the beginning of U.S. science. Joseph Henry was a 19th-century scientist whose life parallels that of the English physicist Michael Faraday, who is often credited for discoveries that Henry made too. For example, in 1831, Henry discovered the principle of electromagnetic induction, which underlies the operation of generators and electric motors, but he didn't publish his results. Faraday made the same discovery at the same time, published, and generally gets the credit for the feat. Rothenberg noted that Henry also invented the first electric motor and became the first secretary of the Smithsonian Institution in 1846, a role in which he fostered the communication of science to the public. 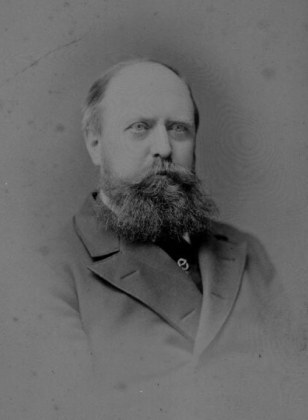 The U.S. took a leading role in the world of paleontology in the late 19th century with the many fossil discoveries credited to Othniel Charles Marsh, who spent most of his career at Yale University. He published widely on everything from fossil horses and toothed birds to a gaggle of dinosaurs. These discoveries, along with those of Marsh's longtime rival Edward Drinker Cope, helped put U.S. paleontologists on the map, according to Rothenberg. "From about the 1870s on it is the U.S. who is just completely leading the way in terms of paleontology with great dinosaur bones being discovered all over the place," he said. The draft sequences of the human genome, published in 2001 by the publicly funded Human Genome Project and Craig Venter's privately funded Celera Genomics, are often hailed as one of the greatest scientific achievements of the 21st century. Perhaps so, but the field of genetics was pioneered in the early 20th century at Columbia University in Thomas Hunt Morgan's lab. 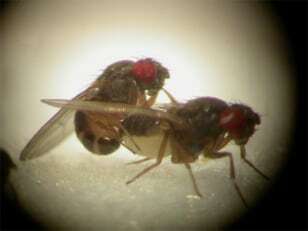 He and his students, working on fruit flies in what was known as the "Fly Room," mapped the first genes and linked heredity with chromosomes. "Morgan and his people at Columbia are really the people who say 'Hey, there's a physical thing here that we can link to heredity,'" Rothenberg said. Hunt received the Nobel Prize for his work in 1933. Starting in the 1870s, some of the largest telescopes in the world were constructed in the U.S., which made the country the place for observational astronomy, according to Rothenberg. Some of the greatest discoveries belong to Edwin Hubble, who spent his time observing the stars at the Mount Wilson Observatory in California. In the 1920s, for example, Hubble discovered that the Milky Way is just one of many, many galaxies, an observation that forever changed how astronomers view our place in the universe. 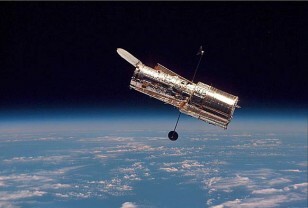 Then, in 1929, Hubble announced that the universe is expanding, based on observations of starlight from distant galaxies. The finding formed the basis of inflationary big-bang theory. Former Vice President Al Gore came in for a lot of ridicule while running for president in 1999 after making a comment that was interpreted as a claim that he personally invented the Internet. He didn't. Rothenberg said the reality is that “we invented the Internet” — with “we” meaning American engineers and scientists. "The Internet is a partnership of the federal government and the private sector coming together," he said. Key players beginning in the 1960s include the U.S. Department of Defense and the National Science Foundation's efforts to set up computer communication networks. The Internet is "transformative in a way that nothing else, perhaps, has ever been," Rothenberg noted. 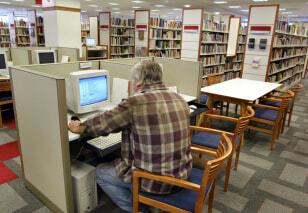 Today, anyone can walk into a library like the one shown here and access the global network. On July 20, 1969, the U.S. celebrated one of its greatest technological feats by landing astronauts on the moon. 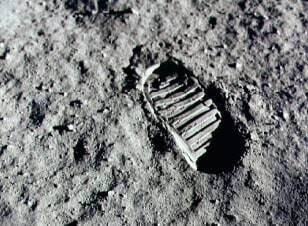 As Neil Armstrong famously said while planting the first human foot on another world, "That's one small step for man; one giant leap for mankind." Rothenberg said the accomplishment represents an integration of technology with scientific discovery. "The technology leads to the discovery,” he said. “We've learned so much." American paleoanthropologist Donald Johanson's 1974 discovery of Lucy, a 3.2 million-year-old hominid named Australopithecus afarensis that walked upright, is often considered one of the greatest scientific discoveries in the field of human origins. 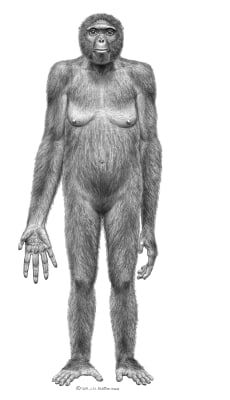 The discovery of a 4.4 million-year-old hominid known as Ardi, short for Ardipithecus ramidus and described in a series of paper in 2009, may be an even bigger scientific breakthrough, according to Rothenberg. Ardi lived in woodlands and climbed on all fours in the trees, but was also capable walking on two feet — suggesting that this hallmark of human evolution occurred in the forest, not grasslands as previously believed. The discovery team, headed by Tim White of the University of California of Berkeley, said Ardi may be ancestral to Lucy. Such findings have brought scientists closer to identifying the common ancestors of chimpanzees and humans.